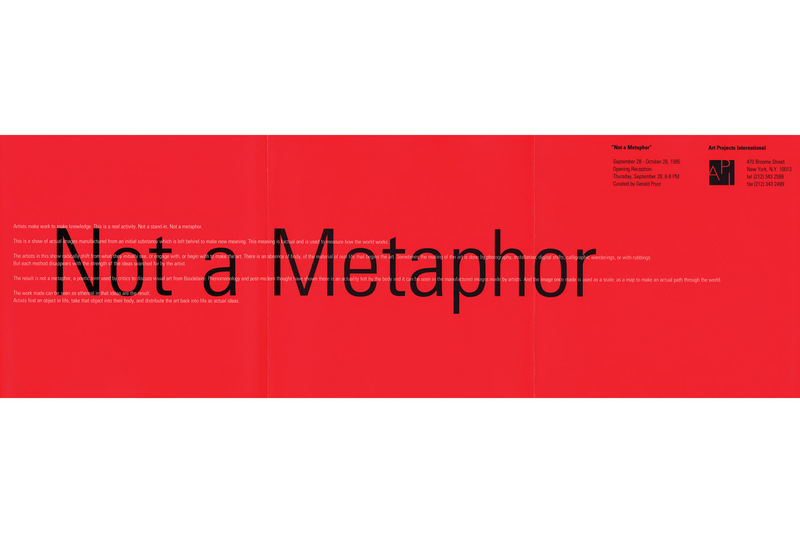 Exhibition brochure published in conjunction with the exhibition Not a Metaphor at Art Projects International, New York, 1995. 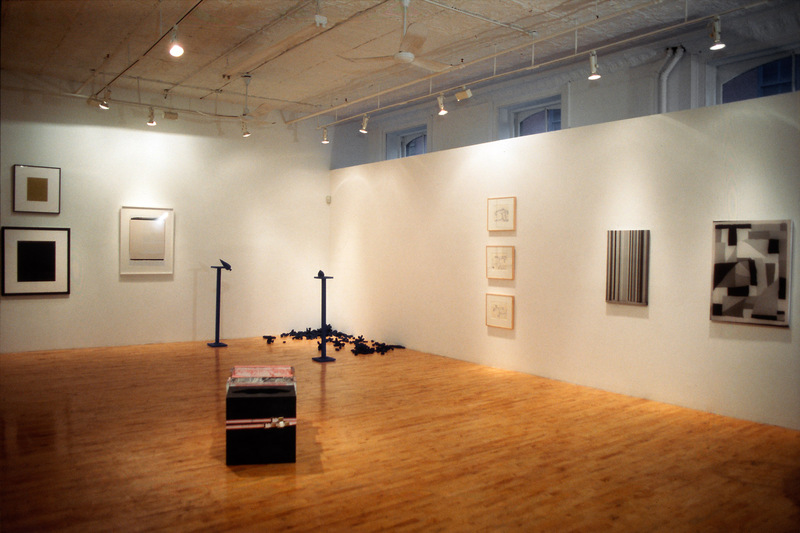 Installation view of Not a Metaphor at Art Projects International, New York, 1995. 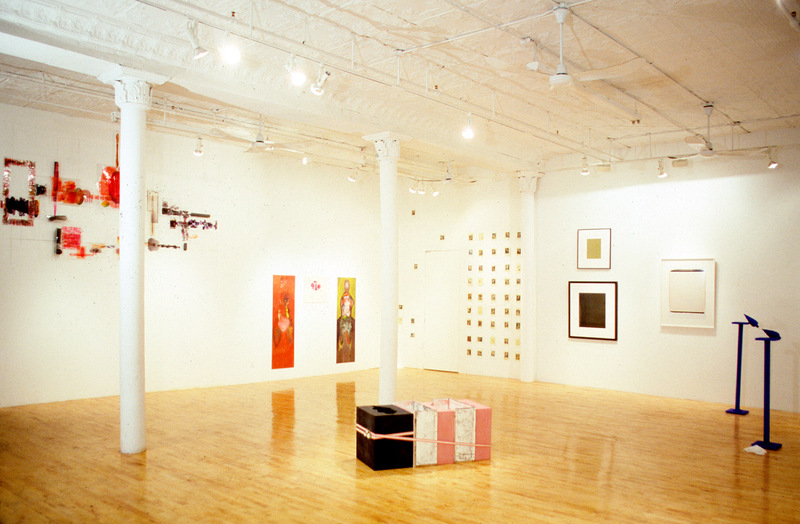 Featuring the work of artists Carroll Dunham, J. Wayne Olson, Gwenn Thomas, Gerald Pryor, Marcia Lyons, Cody Choi, Suzanne Anker and Ellen Carey, “Not a Metaphor” comprises imagery manufactured from an initial substance which, when left behind, creates new meaning. Each work’s meaning is factual and is used to measure or reference how the world works. 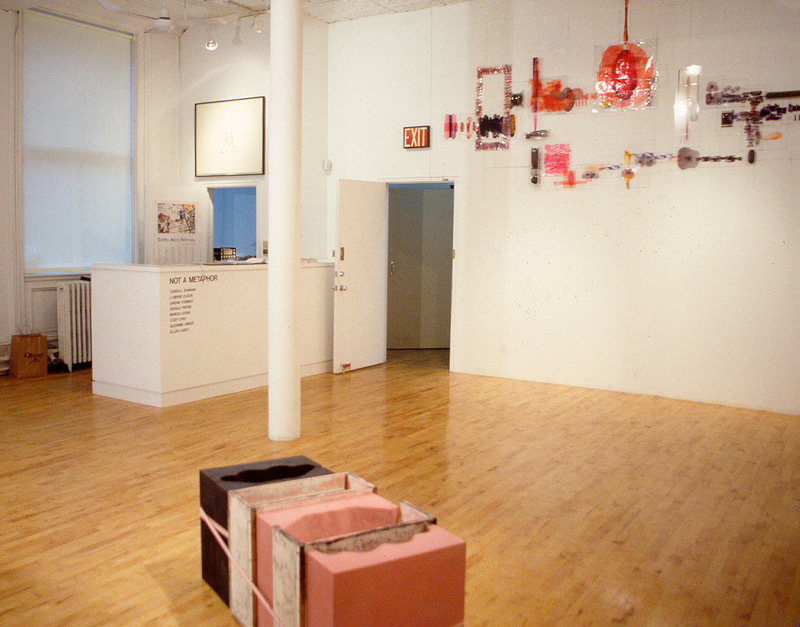 The artists in this exhibition radically shift from what they initially see, or engage with, or begin with, to make art. There is an absence of body, of the material, and of the real life that begins the art. Sometimes the making of the art is created by photography, installation, digital shifts, calligraphic wanderings or with rubbings. 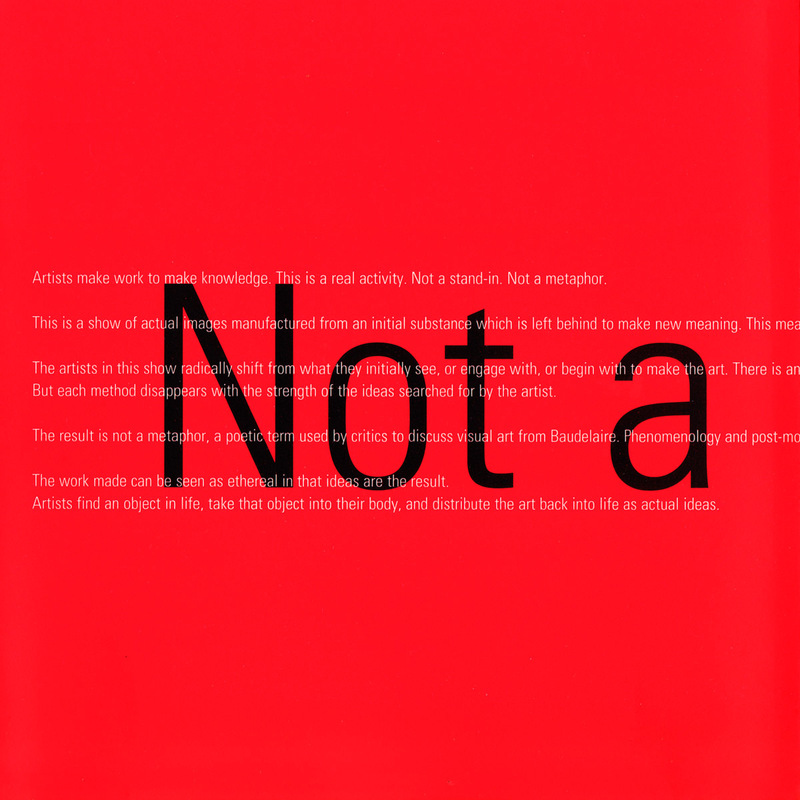 Nevertheless, each method disappears with the strength of the ideas expressed by the artist.